With 2013 now behind us, it is time to look ahead to 2014. Four consecutive year-over-year sales increases has the auto industry brimming with confidence and US sales are now approaching pre-recessionary levels. Still, more than $17 trillion in national debt and a terrible roll out of Obamacare will continue to hang over the country in the coming year, therefore it may be difficult for the industry to match 2013’s gains. There are other industry impacting changes afoot including five auto trends that this writer speculates will happen in 2014 and shape the market for years to come. At least Scion has one highly desirable model in its BRZ. 1. Toyota to abandon Scion. The one model that has saved Scion from oblivion is the FR-S, a 2+2 sports car that is similar to the Subaru BRZ. The Toyota sub-brand should sell about 70,000 units across five model lines for 2013, down from the 173,000 units it sold in 2006 when it had just three models. Last summer, Toyota gave dealers the option to not sell Scion products. Toyota has also stated that there are no new models coming forth in the short term with Bob Carter, senior vice president of Toyota Motor Sales USA, telling Reuters, “We have a very robust and very exciting product cadence coming for Scion, however, it’s further down the pipeline.” Auto Trends believes that the pipeline will be turned off to allow the automaker to focus on its core Toyota and Lexus brand products. As for the Scion FR-S, it can easily be rebadged as the Toyota 86, what it is known as in other markets. Most other Scion models would simply be dropped or in the case of the xB you may also see it enter the Toyota line up. 2. Hyundai and Kia agree to build a third US plant. 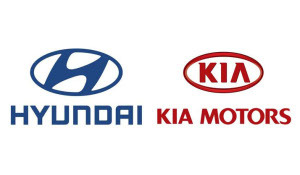 The Korean automakers are joined at the hip and compose the Hyundai Kia Automotive Group, the fifth larger car manufacturer in the world. US sales, especially for Kia, have not kept pace with the market in 2013 as production constraints stateside have limited its growth. Both manufacturers need more capacity, but investing $1 billion or more in a new assembly plant is an expense neither wants to bear alone. Look for the two manufacturers to jointly invest in a new plant, perhaps choosing Mississippi to extend the Koreans’ goodwill in the southeast. Kia has a plant in West Point, Georgia, and Hyundai is represented in Montgomery, Alabama. Choosing Mississippi would confirm earlier rumors shared by MS News Now that a new plant is forthcoming. And with John Krafcik out as Hyundai’s US boss the companies are looking for ways to challenge Toyota and Honda anew, tough competitors that soared in 2013. 3. Qoros is coming. Qoros does not like to bill itself as a Chinese automotive manufacturer. Its cars are built in China, China is its top market, but the company has an international team of designers and engineers to thank for its first model, a sedan, with a crossover model on its way. The first generation Qoros 3 Sedan. 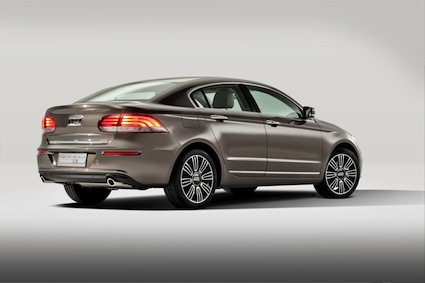 Qoros is a joint venture between Chery Automobile and the Israel Corporation. It is in the process of rolling out its dealer network across Europe and expects to reach its peak 150,000-unit manufacturing capacity no earlier than 2017. The Qoros 3 Sedan has received a 5-star EuroNCAP safety rating, the first Chinese-built car to do so. Expect by the end of 2014 Qoros to announce its US plans with its first vehicles arriving at US ports in 2018. 4. Mitsubishi prepares to exit. Smaller car manufacturers continue to leave the US market. Unless you’re a Porsche or a Land Rover with pricey vehicles and have the backing of a larger company to support your business model, your days are numbered. Daihatsu, Isuzu, and Suzuki have left the market and Mitsubishi will soon follow. Mazda seems prepared to fight it out for a few more years and Subaru is golden because its products are sought after and it has a Toyota tie-in. That leaves Toyota, Honda and Nissan dividing up the spoils as Mitsubishi plans its exit. Next up is Volvo, but its exit won’t be announced before 2015. Moreover, it will gain a lease on life if its parent, Geely, says so. 5. Collaboration reaches new levels. Years ago, the United States Department of Justice would intervene whenever they caught a whiff of Chrysler, GM and Ford collaborating. Those days are over as the DOJ understands that the world has changed — collaboration can save jobs and lift the economy. GM and Ford have collaborated twice on transmissions. 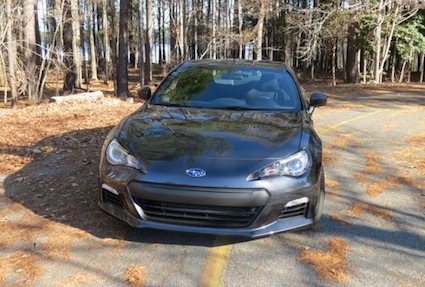 Toyota and Subaru share a sports car — the Scion FR-S and Subaru BRZ. Even bitter enemies such as Daimler and BMW are working together. For 2014 and beyond, we’ll see collaboration taken a step further with GM and Honda cooperating on fuel cells, Mazda supplying a Mazda2-based replacement for the Toyota Yaris, and Daimler working with both Tesla and the Renault-Nissan Alliance on a number of projects. 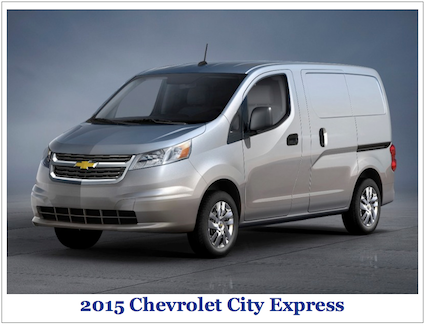 The 2015 Chevrolet City Express will be a Nissan-supplied model. What may other cooperative projects be forthcoming in 2014? The sky is the limit here. What would be interesting is a strategic alliance, perhaps one where Fiat-Chrysler takes on a third partner in a bid to share costs and technologies. The first mass-produced fuel cell vehicles take to the road in 2014, however, the fueling infrastructure is virtually non-existent and the starting cost ($50,000) will make EVs look reasonably priced. The private sector will have a big say on whether hydrogen vehicles have a chance to succeed. Consumers will need to be convinced too with costs dropping sharply in successive years. Autonomous driving, vehicle connectivity, and vehicle light weighting are other auto trends we’ll see roll out beyond 2014. Photos copyright Auto Trends Magazine and the respective car manufacturers.